Located on Main Street, the Wadsworth Atheneum is an art museum founded in 1842 and opened in 1844, making it one of the oldest art museums in the U.S. It has an extensive collection of American Impressionist paintings, works by contemporary artists, French Impressionist paintings, landscapes by members of the Hudson River School, modernist art works, and more. The museum also features American decorative arts and furniture and is one of the best things to do in Hartford, Connecticut. With 196,000 square feet, the Wadsworth Atheneum is the largest art museum in Connecticut and is listed on the U.S. National Register of Historic Places. It also offers many educational programs and hosts special events like film screenings. Elizabeth Park is a city park located on Asylum Avenue. Covering an area of 102 acres, the site was owned by Charles M. Pond, who gave the land to the City of Hartford in 1894 and asked them to name the park after his wife, Elizabeth Pond. One of the most famous parts of the park is the Rose Garden. 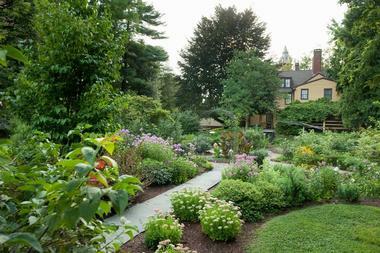 It is the oldest municipal rose garden in the U.S. and is made up of 15,000 rose bushes representing 800 varieties. 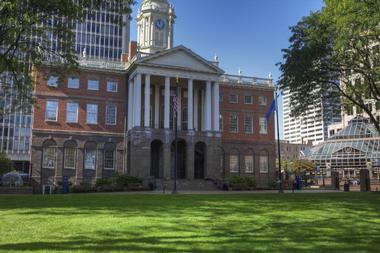 If you are wondering what to do in Hartford CT with kids, this is a great place to visit. 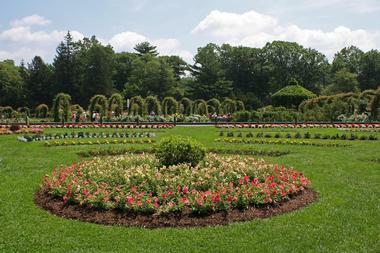 In addition to the rose garden, the park contains greenhouses, lawns, pathways, a pond, and tennis courts. The Connecticut State Capitol is the home of the Connecticut State Senate, the House of Representatives, the Connecticut General Assembly, and the office of the Governor of the State of Connecticut. The current capitol, constructed with marble and granite and opened in 1871, was designed in the Eastlake Movement style and has been designated as a U.S. National Historic Landmark. On the main floor there are collections of historic artifacts, many of which are related to the Civil War. There are self-guided tours as well as free one-hour guided tours, which are conducted from Monday to Friday. School tours as well as private group tours are also available. 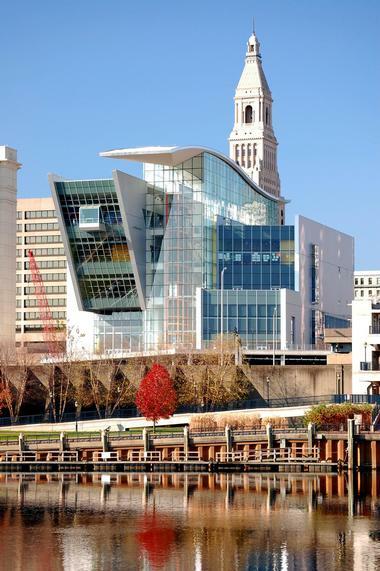 Located on Columbus Boulevard along the Connecticut River in Hartford, the Connecticut Science Center is a nine-story science museum and theater that opened in 2009. The center contains 40,000 square feet of interactive exhibits in its 154,000 square foot facility. Located on Farmington Avenue, the Mark Twain House & Museum is where Samuel Longhorne Clemens lived and worked between 1874 and 1891. Before living in this house, Clemens, known as Mark Twain, lived in several places including Hannibal, Missouri. However, it was in this house in Hartford where he wrote his most famous books, including The Adventures of Tom Sawyer and The Adventures of Huckleberry Finn, among other well-known works. 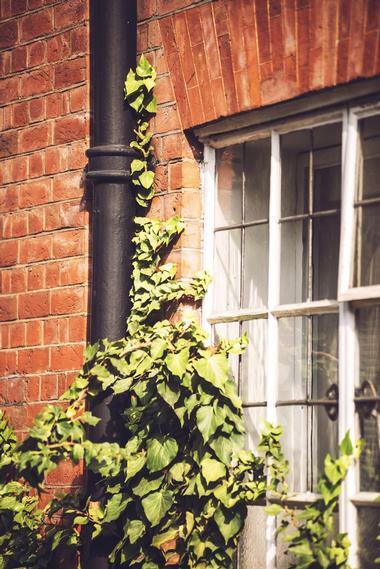 Built in the Victorian Gothic style between 1873 and 1874, the house has 19 rooms. Opened in 2003, the museum features permanent and rotating exhibits that give visitors the chance to learn more about the author and his life. 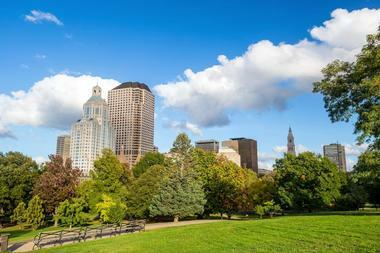 The oldest publicly funded park in the U.S., Bushnell Park was envisioned by Reverend Horace Bushnell in the mid-19th century in order to give the people of Hartford a green open space, a concept that no other city in the U.S. had yet completed. With over 50 acres, the park features paths and groups of trees, a pond, a performance pavilion, a carousel, and the Corning Fountain. Memorials include the Soldiers and Sailors Memorial Arch, which is dedicated to those who fought during the American Civil War, as well as the Horace Wells Monument. 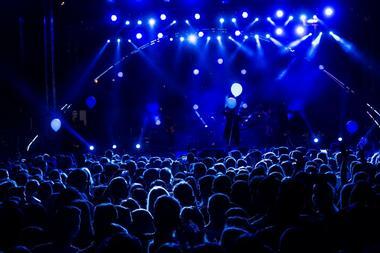 Listed on the U.S. National Register of Historic Places, the park hosts concerts, festivals, and other events. 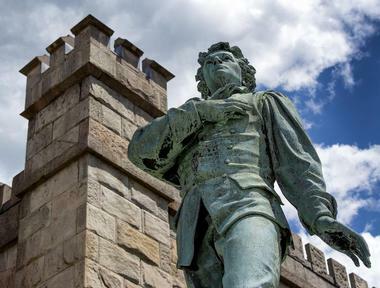 More day trips: 10 Best Things to Do in Bridgeport, CT. The Bushnell Performing Arts Center, located on Capitol Avenue, is a performing arts venue formerly known as the Bushnell Memorial Hall. Named after Horace Bushnell, a highly respected 19th century intellectual, and envisioned by his daughter Dotha Bushnell Hillyer, the center was constructed between 1929 and 1930 during the Great Depression as a memorial to her father. The center consists of several theaters, including the original Mortensen Hall and the Maxwell M. and Ruth R. Belding Theater. In addition to presenting performances including those by the Hartford Symphony Orchestra, the center has educational programs and community outreach programs such as Passport to the Arts and iQuilt. 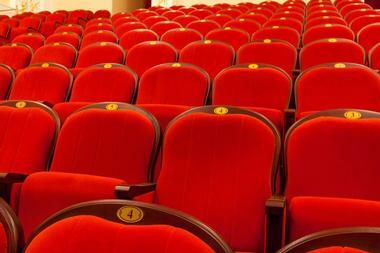 If you are looking for romantic date night ideas in Hartford CT, watch a performance at the Bushnell Performing Arts Center. 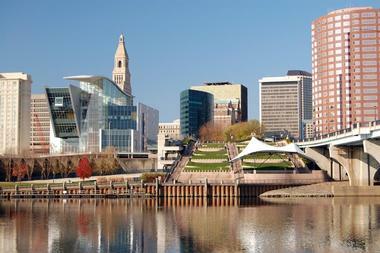 Mortensen Riverfront Plaza is a popular park in downtown Hartford and a centerpiece of the Riverfront park system. A large stage near the river hosts a range of performances, and grass-covered terraces offer seating for more than 2,500 people. The plaza stairs are a great space for vigorous exercise or for relaxing and watching the boats on the river. They also serve as front-row seats during the annual dragon boat festival. 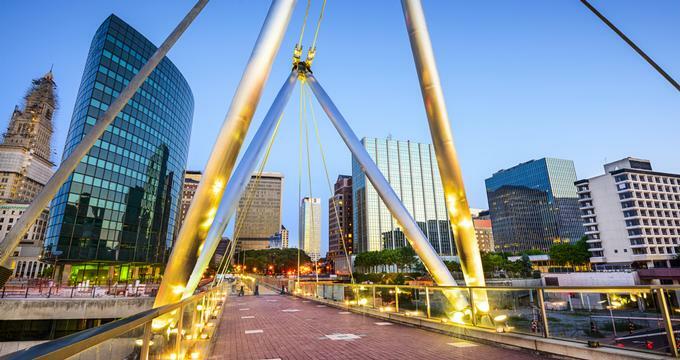 From the Plaza, you can take one of the many walking trails along the river, get on a boat tour of the city, or walk across the Founders Bridge to East Hartford. 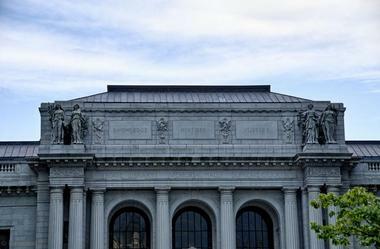 The Museum of Connecticut History is located in the meticulously restored and historic 1910 building that houses the State Library and Supreme Court. Its focus is on the state’s governmental, industrial, and military history, which it showcases through a range of permanent and temporary exhibits. The exhibits follow the State’s growth and development and the part it played in the development of the United States. 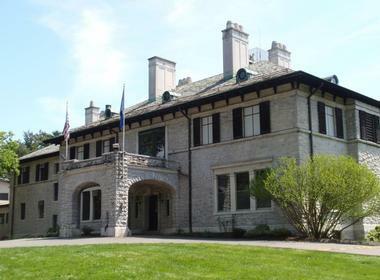 Visiting the Connecticut Historical Society museum, library, and the Edgar F. Waterman Research Center is a great way to learn more about Connecticut and its history, people, and culture. The Society, established in 1825, is located in a lovely 1928 Colonial Revival building that was formerly a luxury home. It now contains over 4 million diverse items in the areas of textiles, furniture, clothing, manuscripts, diaries, prints, photos, tavern signs, children’s books, and various tools. There are several permanent exhibitions on display, and the most important one is a comprehensive overview of more than 400 years of the history of Connecticut. The exhibition displays over 500 historic images, objects, and documents that range from the times of the original inhabitants, the Quinnetukut, to contemporary times. TheaterWorks is a professional theater group located at the Bushnell Towers & Plaza on Pearl Street in downtown Hartford. Founded in 1985, the company presents over 200 performances each season and has produced more than 130 plays, most of which are contemporary dramas. The theater company presents its performances in the large brick historic 1927 Art Deco Building with Moorish Revival details, a building that TheaterWorks bought in 1994. The building, now called City Arts on Pearl, is also home to galleries, office spaces, rehearsal rooms, and storage spaces. The intimate theater seats 195 people and is located in the basement of the building. Founded 52 years ago, the Hartford Stage is a well-known resident theater located on Church Street in Hartford. The theater presents revivals of classic plays and musicals as well as both American and international premiers of new and innovative works for stage. Educational outreach programs include after school programs, theater classes for adults as well as for children, theater residencies, student matinee performances, and much more. The theater also hosts a variety of events such as AfterWords Discussion and Sunday Afternoon Discussion where visitors can join cast members after a performance. 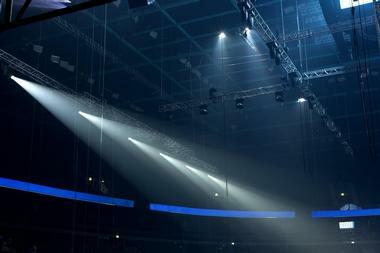 There are also special performances for visitors who are vision impaired or hearing impaired. 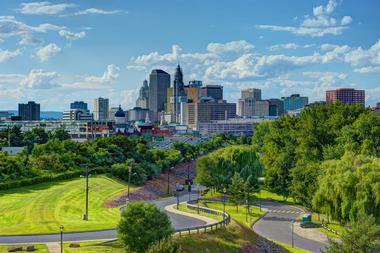 Located on Front Street in downtown Hartford, Nixs Hartford is spacious, opulent, and lively. Nixs is the place in Hartford to visit for after-work cocktails or to hang out with friends for a fun-filled evening, as they have a great DJ playing most days. Everything revolves around their enormous bar and comfortable lounge booths. The restaurant specializes in small plates of local specialties, which in Hartford means superb fresh oysters, crabs, shrimp, and lobsters. Chef Al Soto knows exactly what to do with these excellent seafood options, and with his skilled touch and a few unexpected ingredients and combinations, he manages to produce delightful surprises. Firebox takes their farm-to-table philosophy seriously. They work with a large number of local farms and food producers, shaping their menu around what is available seasonally and grown locally. Add to that the expert skills and fruitful imagination of Chef Ed Jones, and the results are delightful small plates bursting with flavors. The restaurant is warm and inviting with exposed brick walls and original beams on the ceiling. Their policy of working with local talent extends to the local artists who have the opportunity to show their art on the restaurant’s walls. Firebox’s brunch has received rave reviews, and you will see why after you try their eggs Benedict. Their eggs come on a brioche from Farm to Hearth with the choice of smoked bacon with piquillo peppers and garlic braised kale or salmon cured with citrus and served with arugula. Best romantic things to do in Hartford, Connecticut, include the Wadsworth Atheneum Museum of Art, Elizabeth Park and the Bushnell Performing Arts Center. On20 is an elegant, upscale restaurant that provides you with a spectacular view of the river below the 20th floor of One State Street. Perfect for serious business lunches or romantic candle-lit dinners, the restaurant features subtle décor that enhaces the spectacular food their young French-trained Executive Chef Jeffery Lizotte creates using locally sourced ingredients he gets daily from his network of farmers and food producers. The menu is innovative and colorful and at times brave – his chowder comes with creamy fennel, panchetta crumble, orange, and dill oil. In Connecticut, it takes youth to shake the traditions to this extent. 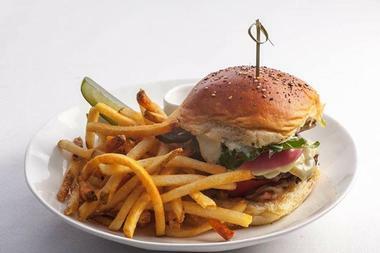 Lunch Prix Fixe is an affordable option for business lunches and a way to taste a few of the chef’s specials. Completed in 1796, the Old State House is the first public building designed by Charles Bulfinch, and it has always served as a public building in one form or another. 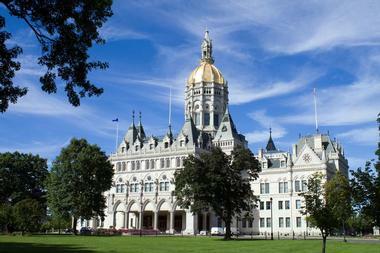 Today, it is managed by an office of the Connecticut General Assembly. The building is a mix of architectural styles, from the Federal exterior to the Victorian Representative's chamber and Colonial Revival courtroom. This National Historic Landmark has a range of exhibits such as the Joseph Steward Museum of Curiosities as well as a great number of historic rooms that showcase the history of Connecticut. There are organized tours for those who would like to learn more. The House also offers space to the farmers’ market on the plaza just outside the building. 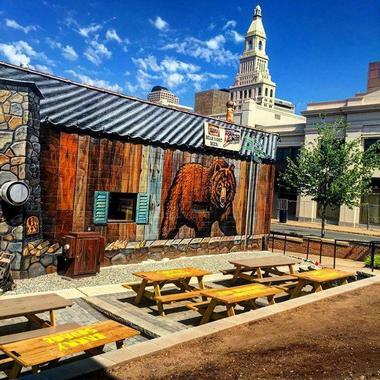 Vegetarians, beware: Bear’s Smokehouse is an unapologetic carnivores’ heaven. The meat is delicately smoked in hickory and other fragrant woods, rubbed to perfection, and barbecued until it is charred on the outside and pink on the inside and falls off the bone. Chef Jamie “The Bear” McDonald has perfected his own sauces and rubs, and he chooses everything from the wood to the meat cuts very carefully. You can find all kinds of meat on the menu, from briskets, beef, pork, chicken, turkey, and sausages, along with a whole range of sides. The ambiance fits the feast – the restaurant is located in a converted garage and has a counter service and a sink next to the exit so you can wash the sauce off your face and hands. Carbone’s Ristorante is a refined establishment where you might go to celebrate an important achievement or to impress your in-laws. The white tablecloths, elegant Old World décor, and impeccable service are just an introduction to Carbone’s Ristorante, where they serve fabulous authentic Italian food that has been brought to the 21st century. Owned and operated by the third generation of the Carbone family, this venerable 75-year-old eatery is popular with the Mayor and even a few celebrities. They, like you, come for the food and the royal treatment Carbone’s offers to every customer. 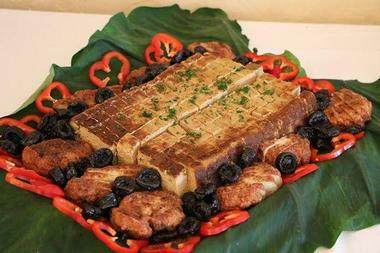 Many dishes are prepared at your table, from fresh salads to flaming desserts. Eating at Carbone’s is truly a remarkable experience. 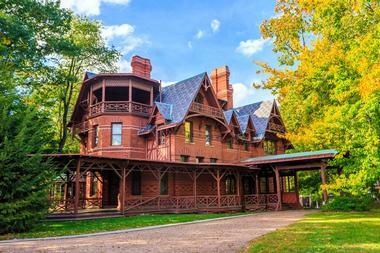 Located on Forest Street, the Harriet Beecher Stowe Center is a historic museum as well as a U.S. National Landmark. Author of the 1852 novel Uncle Tom’s Cabin, Harriet Beecher Stowe lived in this house from 1873 until her death in 1896. The 5,000 square foot two-story brick house was built in the cottage style, painted gray, and decorated with dormers and gables. It sits adjacent to the Mark Twain House. The center contains original objects from the family as well as several documents and letters. The center also has a research library and a carriage house that serves as the Visitor Center. Listed on the U.S. National Register of History Places, the center is open every day. You don’t have to be a Pole to enjoy a visit to the Polish National Home. Located in a lovely Art Deco building, this 85-year-old social club for the Polish-American community has a great restaurant where those who know and love Polish food can indulge in some fresh Golabki, stuffed cabbage rolls, or Pierogis, dumplings stuffed with potato, cabbage, and cheese. Those who are curious about Polish food can come check it out and meet some very friendly and warm people. The building also has a ballroom, dining room, bar, and several offices. 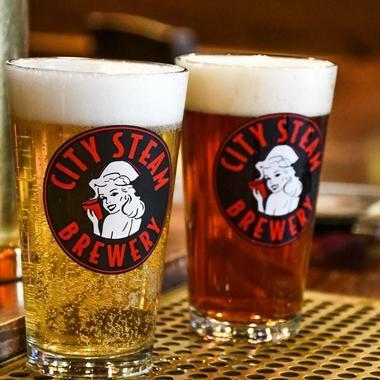 For only $25 per year, you can become a member of the club, which gives you the opportunity to rent any of the facilities, enjoy discounts at the restaurant, and participate in special events and celebrations during the many very cheerful Polish festivals and holidays. 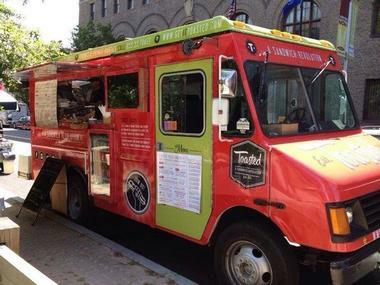 Those who have gotten addicted to the warm, gooey, toasted sandwiches from Toasted’s shiny red truck can now get them from their store on Asylum Street. The store continues their “sandwich revolution” – they give their customers a better way of eating sandwiches. Toasted has an established menu, but you can also design your own sandwich combination, choosing from three types of bread, five cheeses, 12 meats, 19 sauces, and five veggies. Then they press the sandwich and toast it until the cheese melts. The bread comes out nicely crunchy, and everything is just delicious. The bread is baked fresh every day, and they slice all meats, cheeses, and veggies while you are waiting. Be warned: once you try these wonderful warm concoctions, you will never want to eat a plain cold sandwich again. 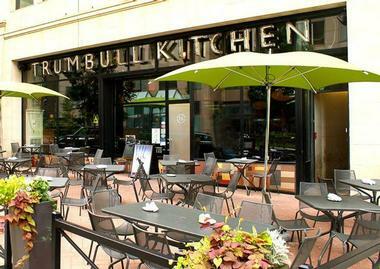 Trumbull Kitchen, with its modern, cool industrial touches, is a luxurious and upscale restaurant with walls covered in leather and soft custom-made lighting. 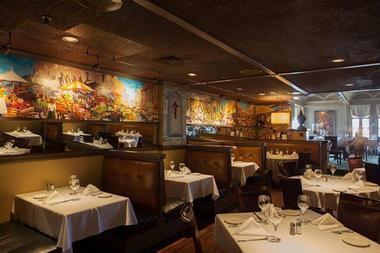 It is a great place for a business lunch or an intimate dinner for two. Executive Chef Chris Torla plays with fresh farm-to-table ingredients he gets from local farms and food producers to create unique cosmopolitan comfort food that has no ethnic boundaries. People usually come to the Charter Oak Landing Park to take a boat tour of the river or to launch their own boat for a trip along the banks. However, there is so much more to this lovely park than the dock. It is great spot for a bit of fishing, a picnic lunch with a loved one, playing with your dog, or taking a jog or a leisurely walk. There is a lovely kids’ playground for the little ones, a pretty little pavilion for a bit of shade, and many benches along the park trails where you can sit, relax, feed the birds, or just watch the river waters go slowly on their way.